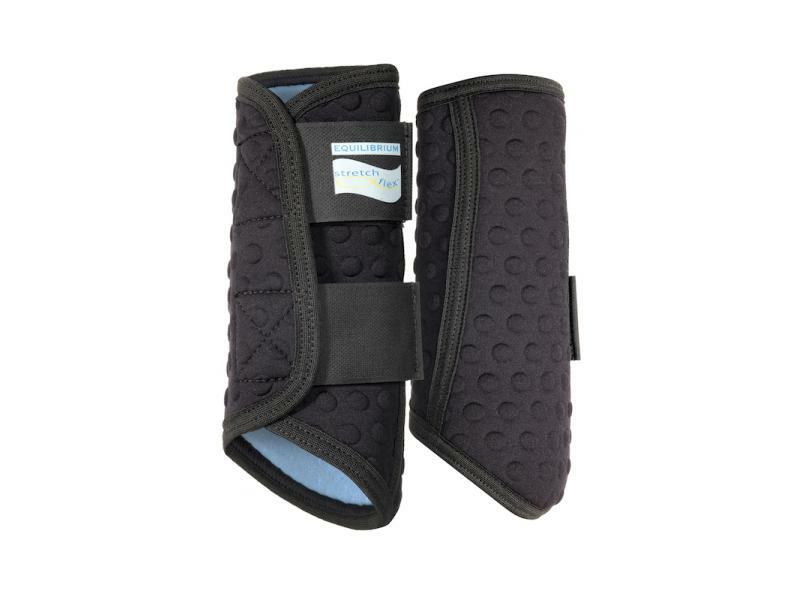 Stretch & Flex Flatwork Wraps fit snugly around the horse’s leg providing gentle support and protection. They have all the benefits of exercise bandages but with the convenience and ease of fitting of boots. Made from breathable Stomatex, Stretch & Flex Flatwork Wraps help to keep the horse’s skin temperature at a comfortable level. Stomatex is made of a special type of Neoprene which actively pumps moisture away from the skin through tiny pores in the fabric. Originally developed for human athletes, Stomatex was designed to provide four-way stretch, to enable use around mobile joints, plus excellent support for active limbs, and an outstanding ability to keep the skin dry, so it could be worn comfortably for many hours. 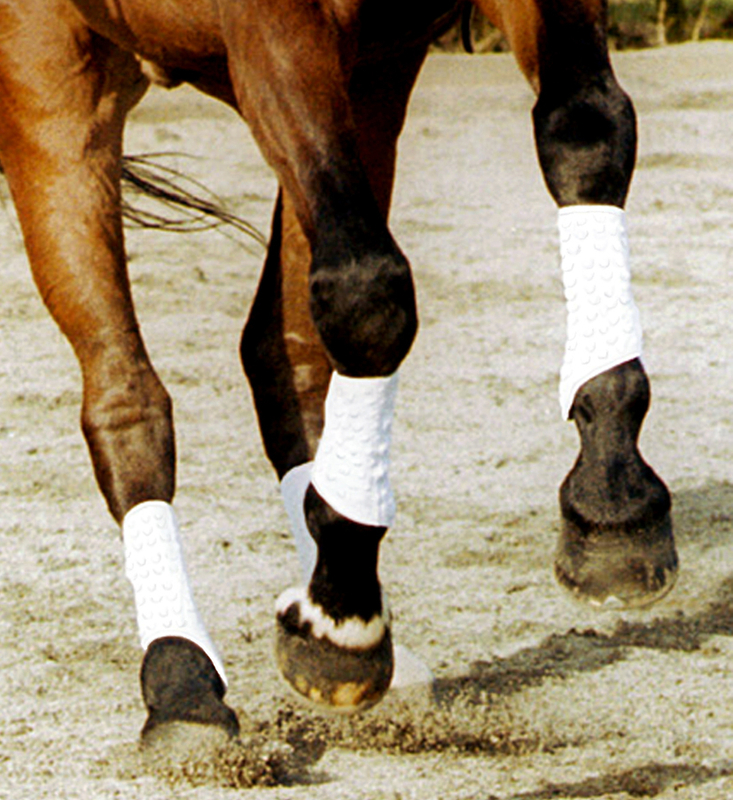 Combined with Equilibrium’s expertise in designing products to fit horses’ legs, the use of Stomatex makes Stretch & Flex Flatwork Wraps a truly innovative product, giving optimal support while ensuring the leg stays cool and dry. Flatwork wraps are suitable for flatwork schooling and hacking well established and balanced horses that need light support and protection. 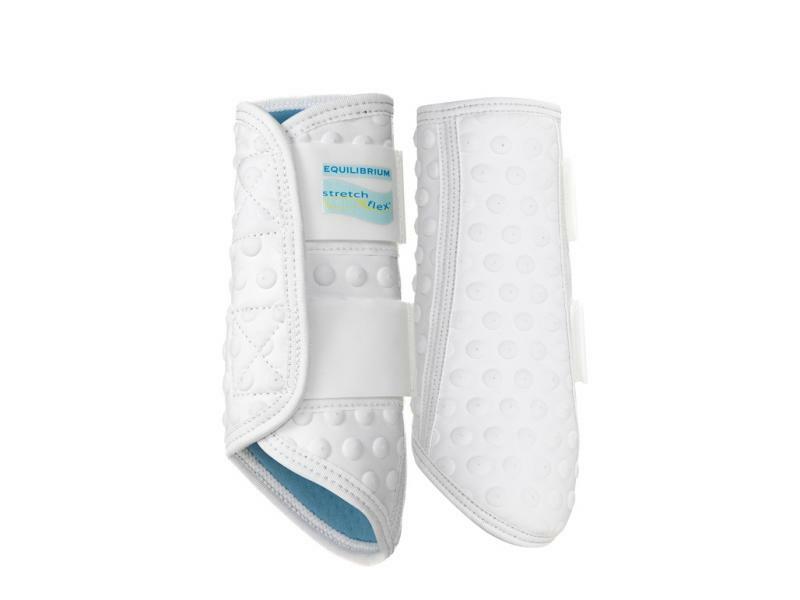 The thick cushioned panel protects the horse’s fetlock joints and splint bones, without any hardness or rigidity, making them ideal for veterans. 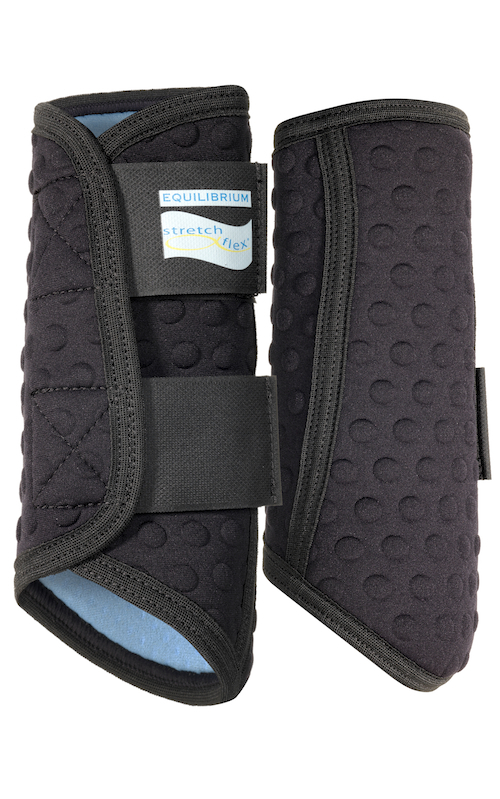 There are currently no questions for Equilibrium Stretch & Flex Flatwork Wraps - be the first to ask one!